When people say Boracay is expensive (and we are guilty of pronouncing this too, once upon a time), it probably means they stayed at a beachfront hotel that costs upwards P1,500 per person per night, had fruit shakes twice a day, and had seafood buffet by the beach for dinner. Or they probably went on a drinking spree at 9 in the morning. Although it’s true that there are things in Boracay more expensive than elsewhere—yogurt, for instance, costs P45—the island has way too many options that it should be easy for people on a budget to find cheaper alternatives—easier in fact than in other islands in the country with very few options for travelers. Whenever we are in Boracay, we live on an average of P1,500 per day (P750 each), including food, accommodations, and beer by the beach. We spent a total of two months on the island this year, so inevitably, we had to find cheaper ways to live. We understand that each one of us travels differently. There are comforts we cannot let go of easily; there are also those we can live without. Depending on where you can skimp on—food, accommodations, transportation, alcohol—Boracay won’t leave you choiceless. Promise! In Boracay, staying near the beach comes at a price—most of the time. If you insist on beachfront accommodations, go to Station 3. If you are willing to let go of that convenience, there are nice B&Bs, guesthouses, and hostels across the main road that are walking distance to the beach. The sublets are better maintained than those under direct management, we think. There’s a studio room with kitchen starting at P1,500 for two. Contact Crystal at 09285866434. This is located near Tree House Boracay, beachfront, beside Nagisa Coffee Shop. Note: we have not stayed yet in those three, although we have seen the rooms of Casa Camilla, those managed by Crystal (and they’re spacious and come complete with a kitchen). The other two—Orchids and Tree House—were recommended by some friends. Non-beachfront, across D’Talipapa, around P2,000 for two with breakfast, has kitchen access. Read our review here. Newly opened hostel, from the owners of MNL Boutique Hostel Makati. Located along Bulabog Road, walking distance to DMall and Bulabog Beach. Read our review of MNL Beach Hostel here. Here, meanwhile, is our review of MNL Boutique Hostel in Makati. Look for accommodations that give you access to a kitchen. Cookie-cutter hotels should be your last option in Boracay (you do want windows in your room, don’t you?). I tell you, if you look hard enough, there are bed and breakfasts, condos, or hostels tucked away from the beach that could give you a better space for the same price you will shell out for a windowless room that doesn’t look (and smell) different from a hospital ward. Try looking at Airbnb for starters. 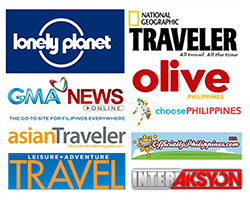 We can also recommend really nice villas/B&Bs from P2,500 above. 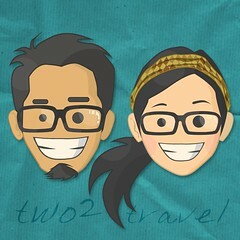 If you want suggestions, email us at two2travelblog(at)gmail.com. No, we won’t be profiting from recommending them. Does “free buffet lunch/dinner” sound familiar to you? If you’ve walked the length of White Beach, you probably have been offered this one. Just this November, offers have gone as far as the airport (imagine being offered free buffet while waiting for your bags. SOME PEOPLE). Words of advice: in this day and age, there’s no such thing as a free lunch. Or dinner. Except maybe in the case of friends. If you walk along the road past Crafts Supermarket (which is a block away from DMall), you’ll find several eateries serving meals as low as P50. Get your alcohol fix at Bombom Bar (Station 2, beachfront, next to Lapu-Lapu Dive Center) and Red Pirates Pub (Station 3, beachfront, a few meters from the end of Angol Road). • Buy and cook your own food if you have a kitchen at your place. Go to Boracay Talipapa Bukid at Station 3 for fresh produce, and Boracay Mini Mart for groceries. These two are a couple hundred meters away from each other, and they are the cheapest place to get food on the island. D’Mall Market—the narrow alley next to Crafts Supermarket—could be an alternative to Talipapa Bukid for fruits. • Source your drinking water from refilling stations. There’s one a couple of meters from BPI near DMall, as well as another just across it, along Bulabog Road. You pay five to seven pesos for a liter of water—so make sure you bring your own reusable water bottle. Boracay has enough garbage to deal with without numerous water bottles discarded everyday by tourists. The standard fare in Boracay is only P10 from Mandala Spa at Station 3 to Sea Wind at Station 1. This covers practically the whole part of the island you may need to go to during your stay, including (Station 2) DMall, Bulabog Beach, D’Talipapa, banks, and most resorts; (Station 3) Talipapa Bukid, Boracay Mini Mart. • Pick tricycles with occupants. Before getting on a trike, ask around if it’s possible not to charter a ride to your destination. If you look like a tourist and you hail an empty tricycle, chances are, the driver will assume you will charter the ride. Tell him you won’t, so he can pick up passengers along the way. Better yet, hail those with at least one other occupant so you only pay the regular rate. • Take the e-trikes. Boracay has a few of them (the green ones) and we’re hoping all the noisy trikes get phased out soon and replaced with these. Fare is the same as the regular ones but the e-trikes are more spacious. We’ve seen more of them this November. • Take the shuttle. Most hotels, especially those on the far corners of the island, offer hourly shuttle services to and from DMall. If you’re checked in on one of them, take advantage of this to save on fare. Here’s to give you an idea how to get to different destinations & how much you should spend for them. We’re using DMall as the point of reference. >P15 each until Sinagpa/Boracay Terraces crossing. From here, you walk 5 minutes inland until you emerge at Boracay Terraces at the farthest area of Station 1. You take the concrete walkway around this huge rock to the right (the same hill with a cross on top) to emerge at Diniwid Beach on the other side. >P10 each. From here, walk five minutes inland to emerge at Station 3. Of course, it’s possible to reach Station 3 by foot from DMall, but sometimes we really just have to take the damn trike. • Fly in and out of Kalibo. Caticlan is expensive and prone to cancellations. Forget it. Kalibo tickets are generally cheaper all year, although it will take you another 2 hours to reach Caticlan Jetty Port, where you can take the 10-minute boat ride to Boracay. *You’ll have to spend on these (again) when you get out of Boracay. Terminal fee at the Kalibo airport now costs P100. Buy a BUS ONLY pass for P200. This will take you directly to Caticlan Jetty Port. Hire a trike at Cagban Port (other times it’s Tambisaan Port) to your destination. Chartering could cost P100-P150, but if you didn’t bring a lot of stuff and don’t mind squeezing in a tight space, you can ride one of the trikes and wait for it to fill up. This is just P20 each if you’re going somewhere in Station 2. Check with your hotel if they provide free pickup at the port. What if you arrive on a red-eye flight? Boats to Boracay are available only until 8 or 10 PM. We’re not entirely sure, but we can peg it at 8 to be safe. You can charter a boat, but that’s going to cost you. If you’re arriving in Kalibo, stay overnight in one of the inns in town and take the bus the next day. Earliest trip of Ceres departing for Caticlan Jetty Port from Kalibo is at 5 AM. We can recommend Airport Line Inn, which is about 10 minutes by foot from the airport, for convenience and nothing else. Very, very (very!) basic air-conditioned rooms for 2 cost around P700. We stayed here when we had to stay an extra day in Kalibo after finding out (too late) that our flight got cancelled, and another time when we arrived at 11:30 PM from Manila. If you’re flying to/from Caticlan: Take a trike to the Caticlan Jetty Port, which costs P50. If not, you can just walk to the port for around 10 minutes. • Take the ship to Boracay. If you can rough it out for eight to nine hours in the open seas and would like to save a few bucks, then take the ship. 2Go Travel has aircon bunks for about P500, private cabins for around P1000 per person. Read more here. The only way that activities in Boracay can get really cheap is when you split the costs with other people. We’re not fans of riding an ATV along concrete, so we won’t be advising you to do that. We also don’t like the idea of rolling downhill inside a giant ball like a hamster, your companion’s feet brushing against your face in the process. That’s gross. We found the island hopping trip to be blah because the corals were also blah (P1200 for four people). We’re not sure if you could still trek to Mt. Luho for P50, because last time we were there, there were pseudo-amusement parks complete with mini-zoos at several of the entry points, and they charge P150 each. Also, speaking of animals in captivity, you may find that certain cookie-cutter big-chain hotels are harboring large cats for pictorial purposes. Those are things we should never be supporting. Once upon a time, even before electricity became widely available on the island, people went there to scuba dive. • Scuba diving: We dived only once, and only at Angol Point, which is far from the best dive spot in Boracay. Each dive cost us P1,500 at Lapu-Lapu Dive Centre (beachfront, right side when you’re coming from D’Mall). DSD—Discover Scuba Diving—a non-certification beginner’s course—starts at P3,000. Lapu-Lapu is managed by the same family that’s running Dakong Amihan. • Paraw Sailing: The classic Boracay experience. Spice it up by sailing with Red Pirates, whose red (obviously) paraw used to pop out quite nicely in the middle of the blue-sailed crowd. Boracay apparently mandated all their paraws to be colored blue and white. • Snorkeling: Tambisaan Beach is popular for snorkeling, and if you swim well, you won’t even need to rent a boat to get there. Simply ride a trike to the Tambisaan port (P100 for a chartered trip). • Swimming: come on, you’re in Boracay. If you don’t like White Beach, there’s Diniwid Beach on the northern end just beyond the hill with a cross on top. There’s also Puka Beach and Balinghai Beach. Have some questions or other tips to share? Type them in the comments below! When flagging a trike in Boracay, just tell the driver the word “individual”. Right there and then, the driver knows that you’re going to pay your fare on an individual basis, not as a chartered ride. nagpunta kmi ng boracay last dec 28,2013 flight nmin 11pm dumating kmi past midnyt nagvan lang kami to jetty port same rate P175/person then may ferry pa rin pala na bumibyahe kaya dont worry kahit gabihin kau sa byahe 24hrs nman ata ang ferry. Wow, I love your photos! What camera do you use? Wow! Great post. Thanks for the tip especially with the transportation fare. i will be travelling to Bora this May with my partner to celebrate our first anniv. Hoping to make it memorable and practical. This really gave me a good idea. Thank you! Thanks for this post!!! We’ll be going to Bora this November and since it’s my first time, i don’t know how i’ll plan our trip! Haha. You guys surely helped a lot in making my itinerary! Salamaaaat!